What is this thing in front of my rear diff? What is the black bar for on my 09 OBS? Last edited by thericeshield; 04-14-2019 at 08:22 PM. some sort of tow hitch mount thing? That's what I was thinking but wasn't sure. The ends of the square bar are rubber and I can sort of twist it around. I was looking at pictures of similar imprezas and didn't see this thing anywhere. I just want to make sure it's nothing important so I can remove it. 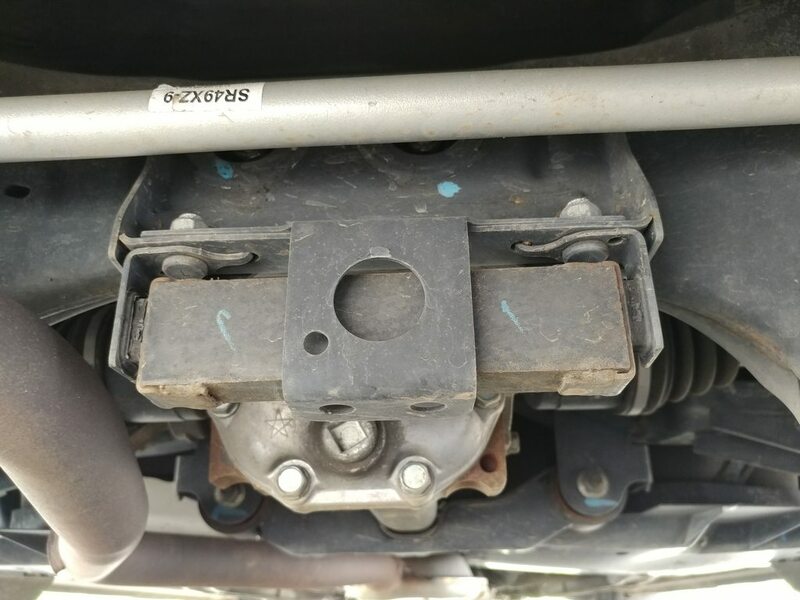 Looks like a vibration damper although I have never seen one on a Subaru before. Never seen or heard of one of these things before. Also interesting that I can't seem to find any pictures, except part diagrams, of them. I have seen weird chunks mounted in various places on some cars before, thus my comment. Usually tuned to cancel some odd harmonic in a part (engine, drivetrain, even exhausts) but never in that spot on a Subaru. That there is the rear windshield wiper grease distribution block. I've always thought this was an odd location for it.